The Young Women’s Chorus collaborates with Keith Terry, a renowned percussionist and rhythm dancer whose work encompasses music, dance, theater, and performance art. As a self-described “body musician,” Keith uses the oldest musical instrument in the world – the human body – as the basis for exploring, blending, and bending traditional and contemporary rhythmic, percussive, and movement possibilities. 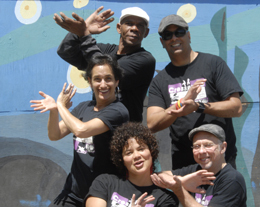 Keith and the members of the chorus have worked together to create a unique program that features Keith’s ensemble Crosspulse and draws on traditional, jazz, and contemporary sources. The Young Women’s Choral Projects of San Francisco, with artistic director Susan McMane, is a new organization that provides talented young women from across the Bay Area with exceptional interpersonal and musical experiences. Participants from diverse cultural, educational, and socio-economic backgrounds find their voices as singers, artists, and women in a nurturing musical environment that empowers them to strive for artistic and personal excellence. 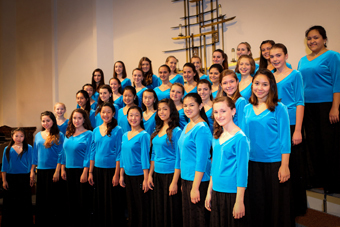 The collaborative experience of learning and creating high-quality choral music fosters the development of each young woman both musically and individually, as well as teaching them important life skills like dedication, cooperation, and commitment. The Young Women’s Choral Projects seeks to expand the body of choral literature for young women’s voices by commissioning original works and arrangements.